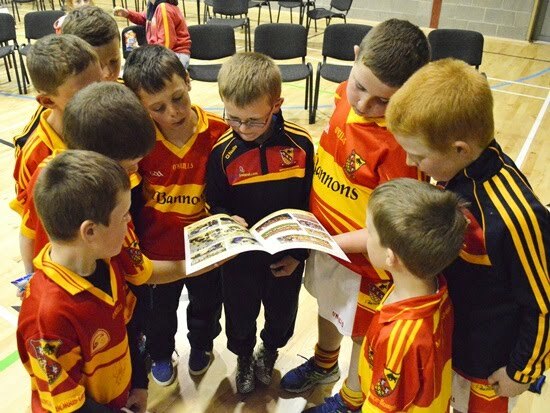 There is a real ‘ can do’ attitude prevalent in and around the parish of Moycarkey Borris these days following the launch of the GAA, Camogie and Ladies Football Club Plan for 2015-2020 which includes the ambitious redevelopment of the grounds at Littleton. 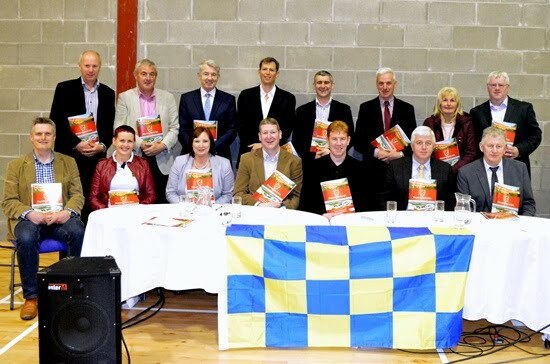 The Tipperary Star attended the launch night in the Littleton Communicty Centre and was most impressed with the plans, the presentation and the general positive feeling which gives the impression that the parish is 100% behind the clubs drive to plan for the future and to bring the facilities up to the modern day standard, and beyond. A major ‘Pledge a Grand’ initiative was launched as part of the finance programme and households in the parish are being asked to acknowledge the value of the facilities to the community at large, by donating where at all possible. On Saturday morning next 25th of April from 10am to 2pm there will be a Pledge a Grand information session in the Club house in Littleton where people can drop in to find out more or to sign up. So, what are the plans? 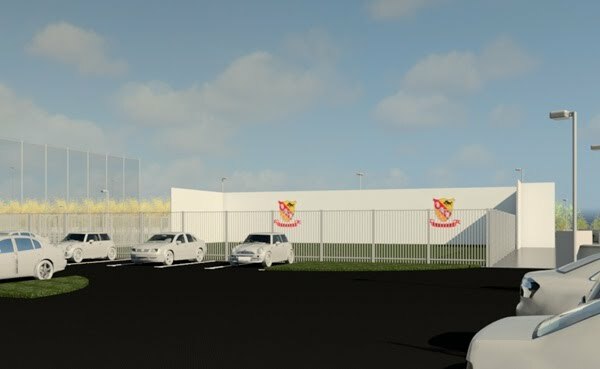 Well, a new clubhouse and dressingroom facility will be constructed next to a double-sided ball wall adjacent to the Thurles road entrance. The existing pictch will be up-graded with drainage, re-surfacing etc. and a 1km perimeter walkway will be constructed to allow for community involvement. The front entrance will also be enhanced and there will be roadways and other necessary works included in the € 300,000 programme. It sounds like tremendous value for money and already the pledges are coming in with the club delighted with the response received so far. On the night, club Chairman Liam Hackett outlined the plans and said that clubs have to constantly adapt and change to suit the times we live in. The five year plan is key to the club growing and responding to the changes, he said and he looked forward to the ambitious plan receiving the support of the community and parish at large. “This is our time, this is our opportunity and we must grasp this opportunity to ensure Moycarkey Borris GAA Club and all of it’s associated parts continues to effectively serve our members, our supporters and our community today and for the future,” he said. His comments were echoed by Michelle Donnelly, representing the Camogie and ladies Football Clubs who pointed out that not all such clubs enjoy the full support of the GAA clubs in their parishes. Moycarkey Borris is very fortunate, she said, to enjoy such co-operation, but is also very envious of the fabulous facilities of others in the county. The hope is that soon they can on par with those clubs in terms of facilities. Sean Ryan of Ryan Architectural Solutions outlined the plans to the community for the first time and went through the various stages of planning and the proposed construction of the facilities. Those in attendance were impressed and excited at the prospects. And, they remained so even after Finance and Fundraising Committee Chairman John Corcoran outlined the work which lies ahead to raise the cash for the works. 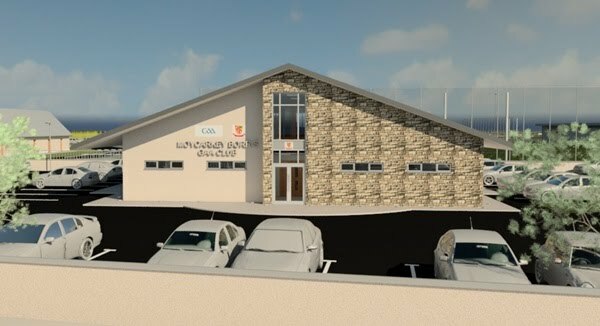 The ‘Pledge a Grand’ scheme will be the major fundraiser with various options for payment, but the club also hopes to receive Sports Capital funding as well as various grants from Munster Council and the GAA where possible. County Board Chairman Michael Bourke had lauded the club for their efforts so far in outlining their goals and setting achievable targets. The plan, he said, covers all aspects of the GAA and he encouraged the many players present to enjoy their time while they wear the red and yellow jersey. He also singled out teachers for special mention and the huge work which is undertaken in the primary schools of the parish - without their work, the GAA would be in a far different place, he said. Interestingly, while the major standout point of the 2015-2020 plan was the redevelopment of the grounds at Littleton, the largest part of the plan is dedicated to coaching and games development - it is twice the size of any other section. And, that’s the way it should be according to Laurenz Egan, Chairman of the Club Plan Implementation Committee. The 20 page plan, divided into five sections, sets out over 100 goals and had contributions from over 180 people assessed and collated into the document presented on the night. The task group drew up the plan in an intense twelve week period and following a survey conducted in the parish it was found that 96% said that they wanted the facilities at Littleton improved and developed. “Well, this is the chance now and we need the support of everyone to make it happen. We have come up with the plans and we will reach a crossroads by July 31st. If we do not get enough households signed up by that date we will not be proceeding with the plans. It’s as simple as that,” Laurenz said on the night. 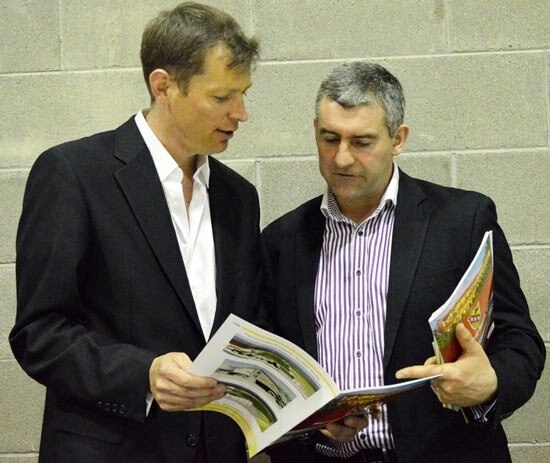 Master of Ceremonies Ed Donnelly, who has worked very closely with Liam Sheedy in a number of different areas of GAA life , persuaded the Portroe man to come to his native parish to launch the plan and to address the community about their aims and goals for the future. And, Liam’s thinking and belief for where the Association is going dovetails perfectly with the ethos and sense of inclusivitiy evident in Moycarkey Borris. Their model, with GAA, camogie and ladies football, all working together is where the Association is going, he suggested , and he stressed once again the importance of a strong GAA presence in the parish, and in every parish. The All-Ireland winning hurling Manager with Tipperary confessed to being ‘ very very impressed’ with what has been produced. But, he added that this is just a plan and will remain so unless it is followed and implemented. “You are half way there by having this plan ready but ultimately the work starts now and it is all about rolling up the sleeves and getting on with it from here on in. Everybody should be given the chance to play a role and use people to their strengths and what they are best at doing. As they say ‘ you wouldn’t see Mozart miling cows’,” he said. To the players, Liam Sheedy stressed the importance of learning from each session they attend. Be on time, and ready for training or games he said, and he encouraged them to prepare correctly in terms of training, diet etc. “Be as good as you can be and that only comes from hard work and application. This club has the potential to go somewhere special if you implement the plan that you have set out. You have the potential, but you need to deliver on it,” he said.